If you're visiting Lourdes, you tend to be looking for divine intervention. 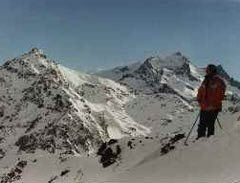 Not many people know that it is only an hour away from Barèges/La Mongie, the largest ski area in the French Pyrenees. This location could improve countless people's opinions of the Pyrenees as a skiing venue. Unlike the rather unwelcoming approach of many Alpine resorts, the people here are incredibly friendly and less concerned by the financial side of skiing. Prices are refreshingly cheap as a result. 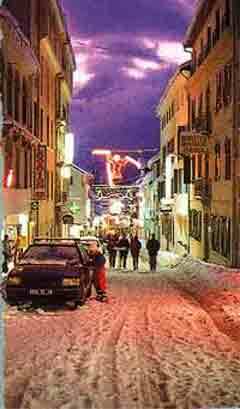 Barèges is an old spa village and the second oldest ski resort in France. The non-skiing activities offered are limited, but the restaurants serve good local fare. The skiing itself is better for beginners and intermediates, but the season is comparatively short, with plenty of sun and rain. For advanced skiers, there is some good off-piste to be found at Ayre and there are specialist facilities for boarders at La Mongie. La Mongie is a purpose-built resort, relatively unattractive and without the range of skiing presented by Barèges. Weekend queues exist, while Barèges is at its busiest in July when the Tour de France comes to town. Overall, Barèges/La Mongie is a largely unspoilt resort perfect for those keen on France, but fed up with the 'battery-hen' approach of the Alps. Travel can be a slight hassle – Lourdes does have an airport but the nearest major one is three hours away in Toulouse.